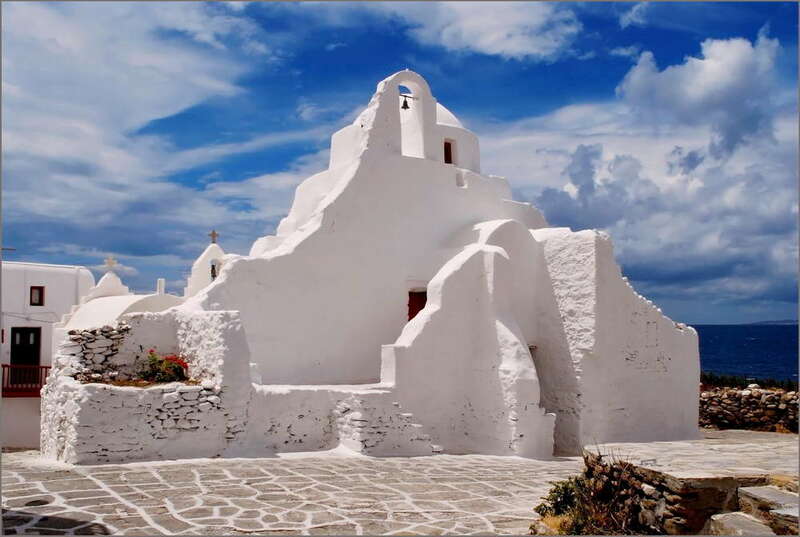 The lovely church of Panagia (Virgin Mary) Paraportiani is among the most photographed churches not only in Mykonos, but in the whole world. 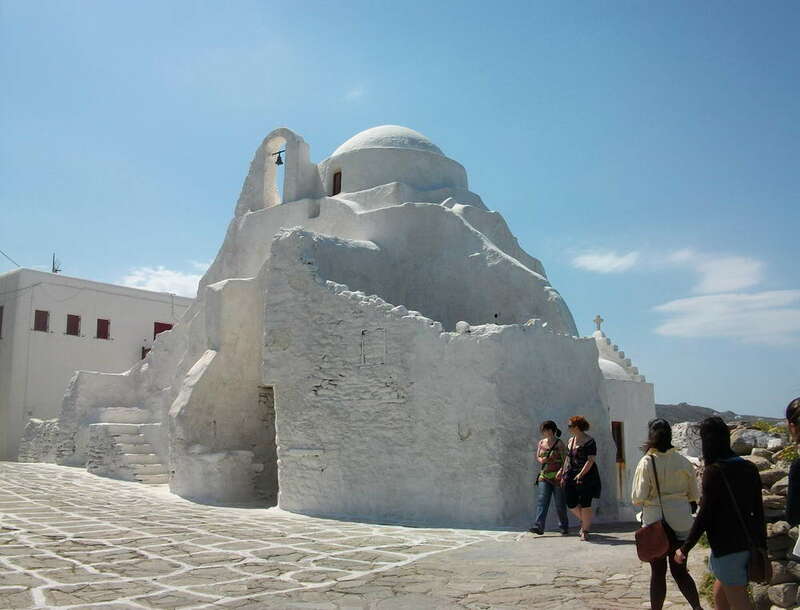 It is located at the entrance of Kastro neighbourhood, right by the sea. Its name (Paraportiani) actually means standing next to the entrance door, meaning that the church was next to the Castle door. The special thing about this church is that it actually consists of five small churches that were built one on top or next to the other. 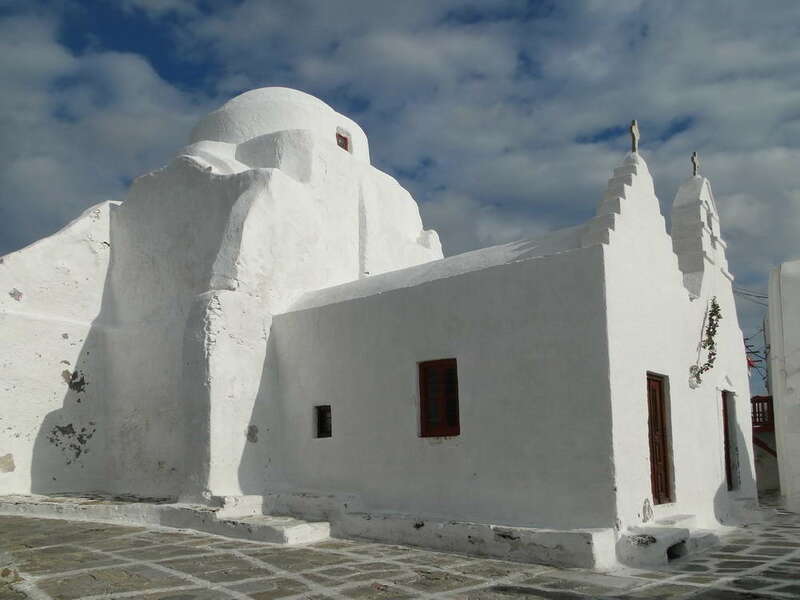 The church of Agios Efstathios is the centre of this complex, surrounded by the churches of Agios Anargyros, Agios Sozon and Agia Anastasia. On top of these four churches, there is the church of Virgin Mary, which looks like a dome. The five churches were not contructed at once, but gradually along centuries. 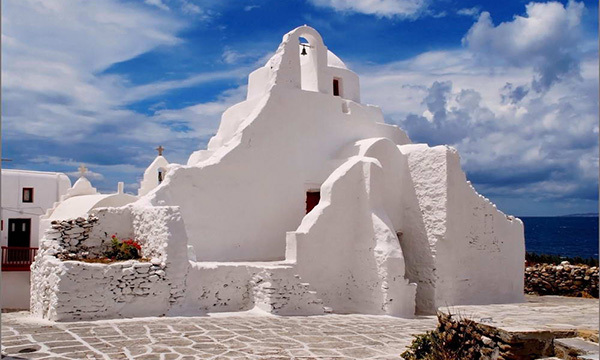 The oldest church is Agios Anargyros, which was built in late 14th century. The other churches were built in the 16th and the 17th century, while there were renovations till 1920.